Mama’s French Toast for Lunch? Why Not?!? Every household has a unique way to make French Toast – right? I didn’t know this until a galpal offered to make me French Toast one morning about 20 years ago, and she added Cinnamon – YUCK! My Mama always made my favourite breakfast using just Nutmeg. So needless to say I’ve insisted on Nutmeg throughout the past 20+ years, much to the chagrin of my husband, who is also a Cinnamon fan. PLUS… Mom loved Roger’s Golden Syrup and used it often on both her late night snack of Corn Flakes, and also on our mutual favourite breakfast – Mama’s French Toast. So that is what I was brought up to use on my French Toast – not Maple Syrup or any reasonable facsimile (I insist on honey on my Pancakes) It’s pretty rare for me to order French Toast when I’m out at a restaurant for breakfast, and for all these reasons I prefer to make my fav at home. I used to drag out my full-sized, electric griddle just to make my special breakfast, which made it something that only happened every once in a while. Plus I only made French Toast for 2 or more people, and never just as a treat for myself. This Spring, I discovered that I could use my Excalibur-coated frying pan on the stove, and get the same effect as pulling out my griddle. Now I could have French Toast for One, and today I missed Breakfast due to being engrossed in the Summer Olympics (Mens’ Gymnastics All Around), I decided to make myself French Toast for lunch. STEP 7: Drizzle with corn syrup and enjoy! 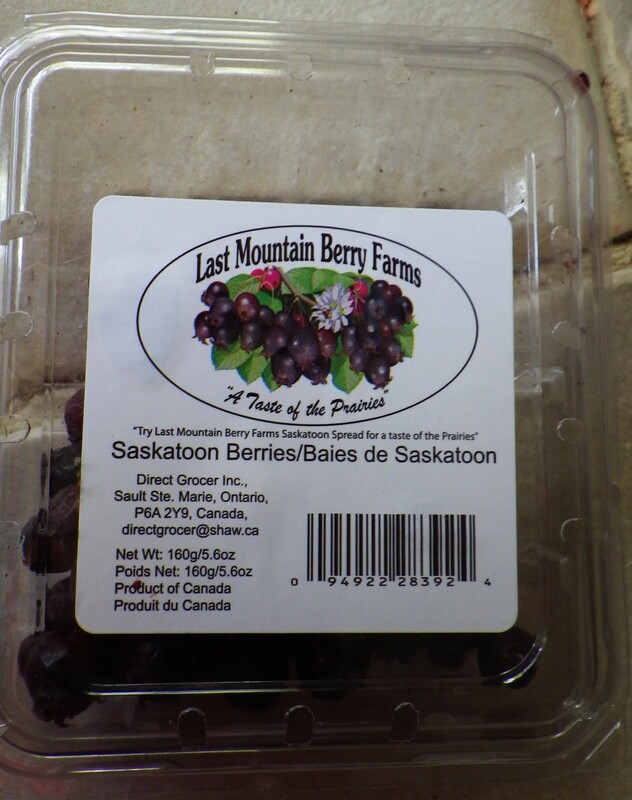 Today, I had also added some fresh Saskatoon Berries, which were a rare find at my local, independent grocer. but today’s addition totally made this impromptu meal into a Gold Medal Plate for me! 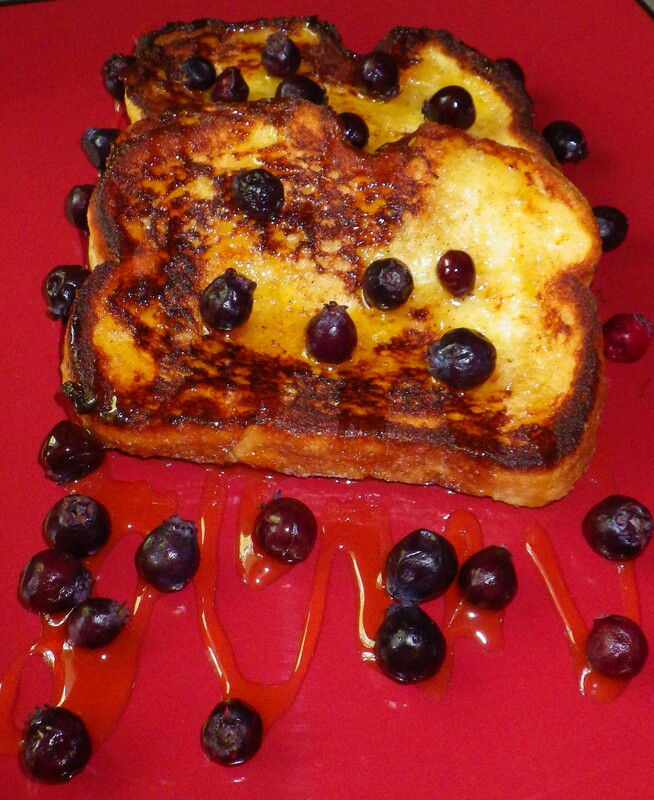 What do you use in your family’s French Toast recipe? Cinnamon or Nutmeg? Maple Syrup or Corn Syrup?